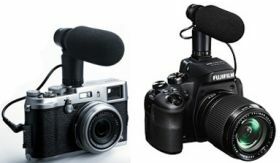 The MIC-ST1 Stereo Microphone from Fujifilm mounts to your camera's hot shoe and provides unidirectional stereo audio recording for HD video on select Fujifilm cameras. 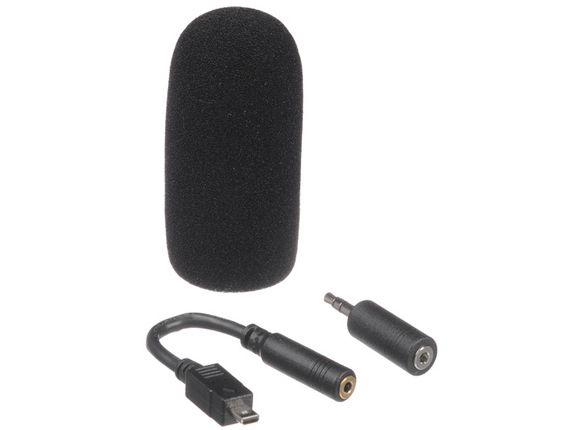 The microphone has a locking screw that secures it in place on the shoe, and a foam windscreen to minimize environmental noise. It is supplied with a 2.5mm audio connection and also comes with adapters for a 3.5mm jack and for a USB Multi-connector. 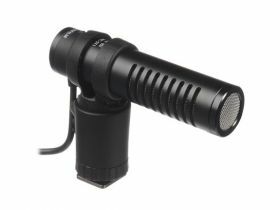 Its compact form is unobtrusive when shooting and convenient to store and transport.